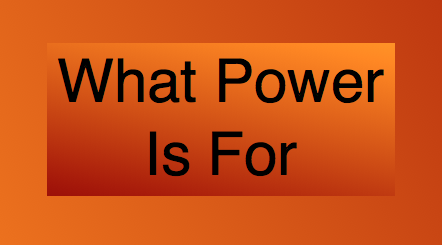 Power is for learning in the way most suited to the expansiveness of the human mind. Power is for supply and abundance. Power is for uplifting everyone. Look at all the power we have. Now let’s all use it.